Home remodeling is a big investment and a huge opportunity to improve the value and enjoyment of your Los Angeles area home. When you're ready to get started on your next bathroom or kitchen remodeling project, consult the professional kitchen and bath remodelers at TV Plumbing. Remodeling a Kitchen or Bath takes expert planning from a master plumber. TV Plumbing can help you from the beginning stages of remodeling, from designing to construction. One-stop shopping makes planning and installation a breeze, with one contractor to handle the entire project. Living without a kitchen or bath for any length of time is quite an inconvenience for a family, which is why our experienced remodelers work to complete the job with little interruption to your daily life as quickly and efficiently as possible. 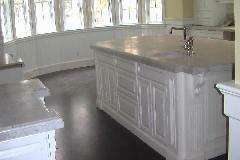 TV Plumbing provides kitchen remodeling and bathroom renovations for only the most discriminating customer. We'll work with you to design a new kitchen or bathroom based around the styles, materials, and design that you want We work with reputable manufacturers and suppliers, so that you can be certain you are receiving the most value for your money. If you're ready to remodel your Los Angeles bathroom or kitchen and demand the best in design, material and craftsmanship, then please feel free to contact TV Plumbing today.